Nikon DF Nikon D3100 Nikon D3200 Nikon D3300 D3400 Nikon D5100 Nikon D5200 and d D5600. Nikon D5300Nikon D5500 Nikon P7000 Nikon P7100 Nikon P7200. 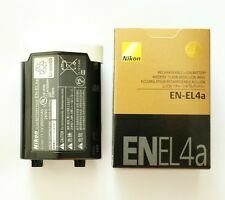 Genuine Original Nikon EN-EL14a Li-ion Battery. Nikon Coolpix P7000 P7100 P7700 P7800. Compatible with the Nikon D700, D7100, D7200 and D7500. Compatible with the Nikon D800, D800E, D810 and D810A. Compatible with the Nikon D600, D610 and D500. Compatible with the Nikon 1 model V1, V2 and V3. CyberShot W Series DSC-W180, DSC-W190, DSC-W310, DSC-W320, DSC-W330. CyberShot S Series DSC-S2100, DSC-S630, DSC-S650, DSC-S700, DSC-S730, DSC-S750, DSC-S780, DSC-S800, DSC-S950, DSC-S980. Alpha A100, A200, A300, A350, A700, A900, DSLR-A100. Zipped protective overlap closure. adjustable shoulder carrying strap. The whole case is cushioned and padded, and waterproof. Nikon D600 D610 D750 D800 D810 D7000 D7100 MB-D11 D12. EN-EL14 Battery's Details 100% New High Quality battery. Battery Type Li-Ion. Capacity: Typ: 2500mAh. Products type: Li-ion battery. EN-EL4a Li-ion Battery. D7100 D7000 D800 D700 D600 D300S D200. D5200 D5100 D5000. D3200 D3100 D3000. D90 D80 D70 D70S D60 D50 D40. Compatible with:Nikon. High-quality nylon! Light weight! Condition: Good. Note: Light shooting and different displays may cause the color of the item in the picture a little different from the real thing. Nikon Nikon D700 D300 D200 D100 D90 D80 D80S D70 D70S D50. 1 x EN-EL3e battery. You may also like. Compatible with. D3100 D3200 D3300 D3400 D5100 D5200 D5300 D5500 D5600 P7000 P7100 P7700 P7800. Capacity: 1230mah(8.9Wh). D810 D800 D800E D750 D610 D600 D7000 D7100 D7200 V1 MB-D11/D12. 2 x New EN-EL18 ENEL18A Batteries for Nikon D4S D4 S52 D810 D800 D5 MH-26 MP PE. Bonacell 2 Batteries EN-EL3E ENEL3E for Nikon D50 D70 D70s D80 D90 D100 D200 PE. 4 xEN-EL4A ENEL4A Battery For Nikon D2X D2H D2HsD2Xs D2Z D3 D3S D3X F6 2.4Ah PE. LI-ION Rechargable Battery For. Nikon Coolpix P7000, Nikon Coolpix P7100, Nikon Coolpix P7800, Nikon Coolpix P7700, Nikon D5100, Nikon D5200, Nikon D5300, Nikon D3100, Nikon D3200. NIKON EN-EL14. Nikon EN-EL14 EN-EL14a. 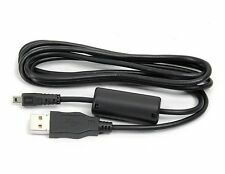 USB Cable For Nikon Coolpix L19 L20 L100 S620 UC-E6. NikonCoolPix 2100, 2200, 3100, 3200, 3700, 4100, 4200, 4600, 4800, 5200, 5600, 5900, 7600, 7900, 8400, 8800, L1, L10, L100, L11, L12, L14, L15, L16, L18, L19, L2, L20, L3, L4, L5, L6, P1, P2, P3, P300, P4, P50, P5000, P5100, P60, P6000, P80, P90, S10, S1000pj, S1100pj, S200, S200di, S210, S220, S230, S3000, S4, S4000, S5, S500, S510, S520, S560, S570, S600, S6000, S6100, S620, S630, S640, S70, S710, S8100, S9, S9100. Capacity: 1030mAh. Nikon COOLPIX D3100/D3200/D5100/D5200/D5300/P7000/P7100/P7200/P7700/P78 And more. Battery Type: Lithium-Ion. 1x EN-EL14 battery. Compatible with. Simple design for functionality, durability and protection. The case itself is waterproof, and rain cover provide extra protection. 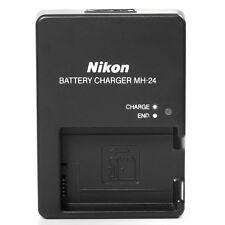 The EN-EL3e rechargeable battery provides 7.4v and 1800 mAh of extended life and consistent power to compatible Nikon D-SLRs. The battery can be charged using the MH-18, MH-18a or MH-19 battery chargers. The camera's fuel gauge accurately displays the remaining charge and number of shots since the last charging of the EN-EL3e. D700 D300 D200 D90 D80 D100, D70, D70s, D50 Charger MH-18a MH-19 EN-EL3e (grey color) . Compatible with: Nikon D7100 D7200 D5300 D3300 D3200 D3100. Featuring a soft, padded, water-restistant lining and durable nylon outer shell, this case will provide maximum protection for your device. Compact, lightweight, durable and easy to carry. Material: Nylon. Color: Black. Great for outdoor sports. Due to the different monitor and light effect, the actual color of the item might be slightly different from the color showed on the pictures. Compact, lightweight, durable and easy to carry. Material: Nylon. You can follow below process to chontact us. Length adjustable padded strap include. Great for outdoor sports. All pictures are for illustration purpose only and Colours may vary slightly. Nikon: D-Series D100, D200, D300, D300S, D50, D70, D700, D70s, D80, D90. 1 x Compatible Li-Ion Battery. Compatible Li-Ion Battery. D-Series D3000, D3X, D40, D40x, D5000, D60. Nikon: CoolPix S6400. 1 x Compatible Li-Ion Battery. Compatible Li-Ion Battery. Manfrotto Pro Light Bumblebee-130 Camera Backpack (Black). Condition is Used. Dispatched with Royal Mail 1st Class. Battery Type: Lithium-Ion. 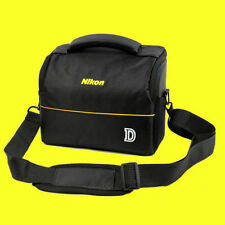 EN-EL9a Battery x 1.
camera case bag FOR Nikon DSLR SLR D5300 D3300 D3200 D5200 D7000 D7100 D700 D800. 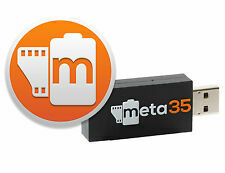 Capacity: 2550mAh. Applicable models: D7000, 1V1, D800, D800E. Common Sense of Lithium Battery Use 1 x Battery. Detail Image. Type: Li-ion. Compatible models: EN-EL15. Item Specifics. QUMOX LCD Dual Slim USB charger, can be powered by USB Wall & Auto Charger or a Computer. New smart LCD design, easy to carry. Input: 5V 2A; Output: 4.2V/8.4V 600mA. Intelligent LCD charger displays charging status and battery capacity. Can be powered by USB Wall & Auto Charger or a Computer, comes with a Micro USB cable. Patented charger with FCC, CE and ROHS certification. Compatible with the Nikon D700, D7100, D7200 and D7500. Compatible with the Nikon D800, D800E, D810 and D810A. Genuine Nikon EN-EL15a Battery. Compatible with the Nikon D600, D610 and D500. Compatible with the Nikon 1 model V1, V2 and V3. A minimalistic approach has been adopted for making the Camouflage Lens Cover look good on your lens. 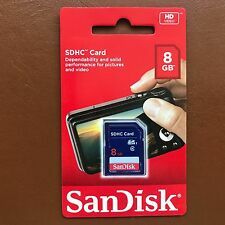 Video Recording: Standard 88 hours. Storage Capacity: 16 GB. Maximum Read Speed: 80 MB/s. Maximum Write Speed: 10 MB/s. 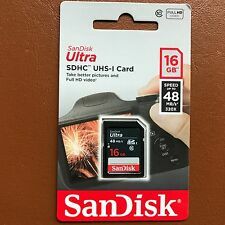 Manufacturer Part Number: SDS/16GB. We are not associated with any printer and /or original printing supplies manufactured. Material： Nylon. Hand carrying or shoulder strap. Double zippers designed for easy to fetch. D3100 D3200 D3300 D3400 D5200 D5300 D5500 D5600. Compatible with: Nikon. Light weight! Condition: Good. Material: Polyester. The case is cushioned, paded, and water proof. Simple design for functionality, durability and protection. Material: Fabric. With Belt Loop. Compact DSLRs: e.g. Canon Rebel T3, T3I, T5I, T6I, T6; Nikon D3200, D3300, D5200, D5500. Easily accessible front zippered pocket for accessories. Pixel TF-324 adapter allows you to use a Sony flashgun on any hot shoe digital & film SLR. Flashgun supported include Sony HLV-F58AM, F42AM, F56AM, F36AM, Minolta 3600, 5600HS etc. It can be used to replace Sony FS-1200 adapter. 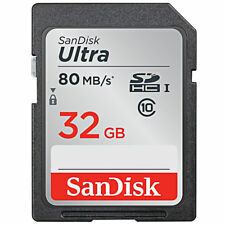 D810 D800 D800E D750 D610 D600 D7000 D7100 D7200 V1 MB-D11/D12. Compatible With. The Amica-10 shoulder bag is a stylish camera bag, extra padded to protect a Mirrorless camera with attached zoom lens and additional pancake lens. The Amica has easily accessible pockets - inside and out - in which to organize photographic accessories, as well as smartphone, keys, pens etc. Nikon: CoolPix S2700, S2750, S2800, S2900, S33, S3400, S3600, S3700, S4150, S4400, S6700, S6900, S7000, W100, S32, S3200, S3500, S4200, S5200, S5300, S6500, S6800, S100, S2500, S2600, S3100, S3300, S4100, S4300, S6400, S6600. 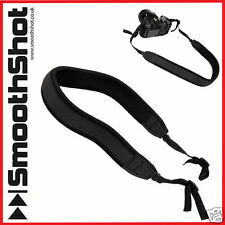 Make photography more comfortable with this hand grip strap. Hand Grip Strap x1 pcs. Durable and practical for photographer and enthusiasts that love photographing. 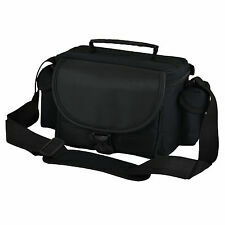 A strong, stylish and sturdy Canon holster bag to shield and carry your entry-level DSLR and a lens. The stylish, strong and handy HL100 holster makes carrying your DSLR and lens easy on outdoor shoots and adventures. Made in Japan. Capacity: 1100 mAh.